"A Look at One of Hollywood’s Most Prolific Directors "
SPIELBERG is a fascinating look at one of Hollywood’s most prolific filmmakers, Steven Spielberg. Terrifically produced, with wonderful interviews with many well-known filmmakers, the documentary’s positive message of family and faith isn’t a perfect portrayal, but it’s one of redemption, which provides hope for others. A strong caution is advised for some foul language, as well as violent images in footage of several Spielberg movies, including SAVING PRIVATE RYAN. SPIELBERG is a fascinating look at one of Hollywood’s most prolific filmmakers, Steven Spielberg. The documentary looks at Spielberg’s personal life, including his childhood and his relationships with his parents, and how this influenced his work. As a child, Spielberg’s father worked for RCA. The job required the family to move a lot, so his father was often absent from family life. This made Steven and his sisters close to their mother, who was a bright, joyful, fun mother. From a young age, Steven was drawn toward filmmaking and storytelling, but he was ultimately rejected from film school at the University of Southern California because of his low grades. He eventually got himself an internship at Universal Studios and got the chance to make a short film called AMBLIN. The success of the short film put him on the radar of the studio vice president, and he was given more and more opportunities. Spielberg’s directing chops were really put to the test with the studio’s biggest risk, a shark movie called JAWS. Completely in over his head and unsure how to shoot a movie on the ocean, the production of JAWS took nearly three times longer than planned and went way over budget. When it was released, it was a megahit, the first megahit during summer, and became the highest grossing movie in North America. In interviews, Spielberg says that the success of JAWS immediately gave him the ability to pick and choose movies he wanted to do, and he was still in his 20s. He began hanging around a group of other up and coming filmmakers, like Brian DePalma (SCARFACE, THE UNTOUCHABLES), Francis Ford Coppola (THE GODFATHER) and George Lucas (AMERICAN GRAFFITI, STAR WARS). While these other filmmakers were making more edgy, provocative movies, at a time when the moral standards had been abandoned by many Hollywood filmmakers, Spielberg was choosing to make studio movies that appealed to broader audiences, something his peers would often denigrate. As the documentary follows his success with movies like CLOSE ENCOUNTERS OF THE THIRD KING, to E.T., to RAIDERS OF THE LOST ARK, Spielberg reveals how his strained relationship with his father and his parents’ eventual divorce were a part of the stories he told, and the characters in his movies. His mother had fallen in love with his father’s best friend, but for the sake of the children’s relationship with their mother, the father took the blame for the divorce which created a 15-year-long estranged relationship Spielberg and his father. Like his own father, Spielberg himself eventually went through a divorce, after a four-year marriage to actress Amy Irving. Around this time, Spielberg also began to re-explore his Jewish heritage and faith. As a child, he was teased for being Jewish and became embarrassed about his family’s faith. For years Spielberg shut that part of his background out, but then he met his second wife, Kate Capshaw, who converted to Judaism and reignited Spielberg’s religious side. This also inspired him to make SCHINDLER’S LIST, a tribute to the millions of Jews murdered during the Holocaust in World War II. SPIELBERG continues to explore some of Spielberg’s more recent movies, interviewing filmmaker friends of his like J.J. Abrams, Martin Scorsese, Tom Hanks, and many others. Spielberg touches on the fact that he’s drawn to stories about ethical people who must overcome insurmountable challenges. He says that some would accuse him of being an “idealist” or “a patriot” because of movies like SAVING PRIVATE RYAN and others, but he readily admits that he’s both of those things. While some movies in his filmography are one-sided, others have a more two-sided perspective, like MUNICH, which basically represents Spielberg’s internal struggle on supporting the War on Terror after 9/11. In the end, Spielberg believes most of his movies are about family dissolvement and separation, and then ultimately reconciliation and redemption. In his own life, this has also become true as his parents in their old age have actually reunited, and Spielberg’s relationship with his father healed and has become stronger than it ever was. While filmmaking has given the director so much, the real treasures of life, while not explicitly stated, are clearly shown to be family, faith and friends. 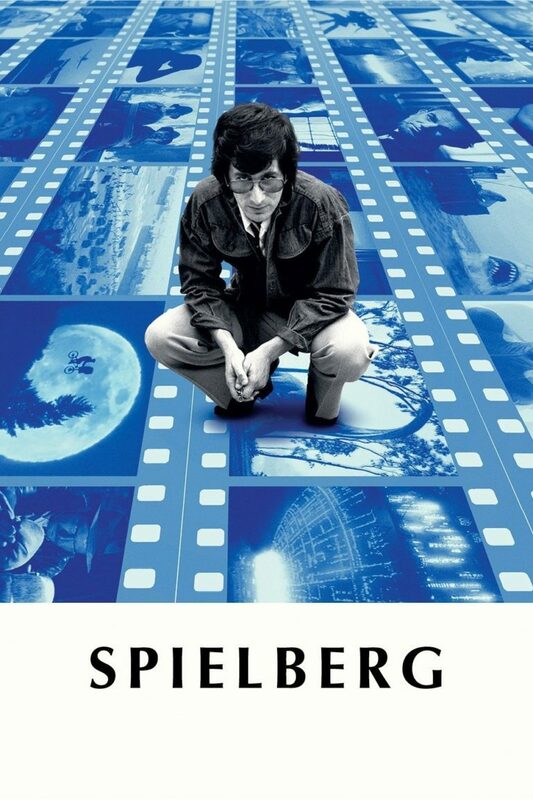 SPIELBERG is terrifically produced and has wonderful interviews with many well-known filmmakers. Discovering the personal connection between the director and his work is fascinating, even if the viewer doesn’t like particular movies. The positive message of family and faith just like so many other lives isn’t a perfect portrayal, but it’s a redemptive one, which could provide hope for other people. A strong caution is advised for some foul language, as well as violent images in footage of several Spielberg movies, including SAVING PRIVATE RYAN. Discussion about a dysfunctional family. SPIELBERG is a fascinating look at one of Hollywood’s most prolific filmmakers, Steven Spielberg. The documentary looks at Spielberg’s personal life, including his childhood and his relationships with his parents, and how this influenced his work. It also reveals how he fell away from his Jewish faith, but ultimately returned and made the powerful tribute to the Jewish survivors of the Holocaust, SCHINDLER’S LIST. The documentary covers how the divorce of Spielberg’s parents impacted him personally and affected his filmmaking career, and how long it took for the family to come together again and reconcile. SPIELBERG is very well produced and has wonderful interviews with many well-known filmmakers. Discovering the personal connection between the director and his work is fascinating, even if the viewer doesn’t like particular movies. The positive message of family and faith, just like so many other lives, isn’t a perfect portrayal, but it’s a redemptive one that could provide hope for other people. Strong caution is advised for some foul language, and some extreme violent images in footage from several Spielberg movies, such as SAVING PRIVATE RYAN.